Isometric games are surprisingly few in today’s market, despite it being a great perspective. So when I saw Seven: Days Long Gone, I was excited to dive in and try out some isometric action. I say action because I’m not 100% on whether it counts as an action adventure or an RPG. But either way, let’s give the rundown on Seven.You play as Teriel, a thief owned by a demon named Artanak. As he tries to commit his biggest theft, the guy is captured and taken to the prison of Peh Island. This is where your real adventure begins, during which Teriel tries to regain his freedom by exploring the island and collective keys to access each new area. To achieve your goals, you have an expanded range of actions making Seven a title combining stealth and role play: equipment, statistics, crafting and other fun stuff are on the agenda. Seven is also distinguished by its apocalyptic post-post universe: while not the most original, it is pleasant to explore and offers some good moments despite a major plot all the same classic. You will find a crowd of robbers, thieves, but also soldiers generally unkind to the idea of ​​helping you in your quest: some betrayal or information given in exchange for gold will invite you in your adventure, which will occupy you at least between 10 and 15 hours depending on how you play and your skill with the genre. It’s a mix of genres, with its an atypical view that offers him a slick appearance; unfortunately, it’s spoiled at its core by disappointing gameplay. Indeed, Seven regularly suffers from its isometric view, which is not well suited to vertical levels and leads to several particularly frustrating situations, because not related to your level of play. This is the case when you go from one level to another via stairs, since the upper part of them appears at the last moment and prevents you from knowing if an enemy is waiting for you at the top. Another problem is that, once squatted to switch to discretion, you are never informed of the possibility of murder in one shot or not your enemy, or the actual concealment of your character behind elements of the scenery, which is not yet not always very obvious visually. The game also offers some louder ways to dispatch enemies. It is still possible to play in a less subtle way by also varying the approaches, through the use of traps, spells, but also that of different weapons that you will be likely to recover (swords, axes, crossbows or even rifle). Except that survival in close combat usually consists of isolating the enemies and spamming the attacking key to overcome it, a minimalist strategy that wears out in the long run. The multiplication of the types of weapons, the vertical level design and the presence of traps can bring a little spice to the whole, but remain insufficient. Several choices of game design are also doubtful, such as the many merchants too poor to buy the majority of your items for sale, tedious access to fast moving system that will usually require you to repeat the round trips or the question more annoying improvement – yet almost essential to see the end of the adventure – picking, subject to a search for ill-conceived manufacturing plan. Add to that the ability to easily deceive the AI ​​since it forgets you as soon as you disappear from its area of ​​action, and you get a lot of annoying little flaws that you regularly out of the game. It is all the more unfortunate that apart from these important defects, Seven is regularly pleasant thanks to its freedom of action, offering a smooth parkour system and a variety of approaches ranging from use of disguises to diversion of the attention of guards via diversionary tools through the more conventional infiltration. It is also possible to solve certain quests in several ways, but also to take advantage of an open level design to embed itself in a forbidden zone via a few climbs, for example. It’s definitely worth mentioning the attentiveness of the developers, who have quickly corrected several bugs of quests or crashes of version 1.0 and could do the same with the defects mentioned above. An appreciable point that will probably not be enough, however, to refine the basic mechanics unless a deep work of redesign, but has the merit of showing that the team behind Seven: The Long Gone Days is aware of the problems of its title and takes into account the feedback of the players. On the technical side, the main bugs of the original version have been fixed and the title is now stable. Combine this with a pleasant artistic direction, an accessible and neat interface, a grip adapted to the keyboard / mouse or the joystick and you get a title generally neat on the form failing to fully convince on the bottom. 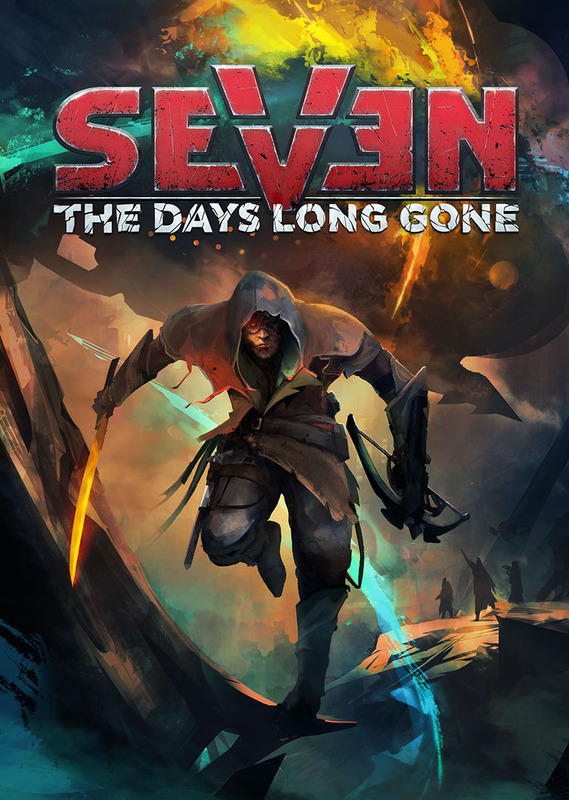 SEVEN: The Days Long Gone was reviewed using a PC downloadable code of the game provided by IMGN.PRO. The review was tested on a PC running Windows 10, with an 8GB NVIDIA Geforce GTX 1070 fitted on a 4th Generation Intel i7 4790 3.6Ghz CPU and topped with 16GB of RAM. We don’t discuss review scores with publishers or developers prior to the review being published. SEVEN: The Days Long Gone is a great title hampered by some poor design decisions. However, its greatness still shines through, and if you’re willing to be a little patient, it offers a really solid isometric adventure that’ll offer you a ton of different ways to carry out goals.